Not sure what to pack for a road trip or just don’t want to forget any road trip must haves? 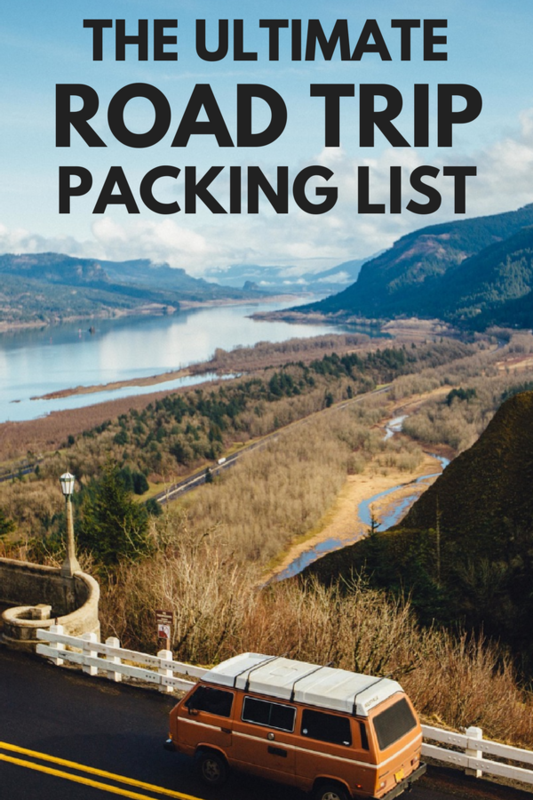 I’ve got you covered with the ultimate road trip packing list with a checklist of everything you’ll need. This checklist is perfect for any road trip – whether doing a short day trip or a long cross country road trip. 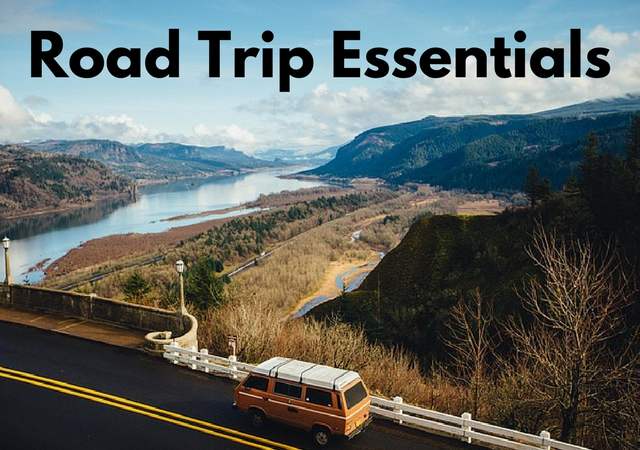 My road trip essentials list includes everything you need for you and your vehicle as well as fun things to bring on a road trip. For anyone traveling with kids and/or pets, I have also included family and pet road trip essentials to keep them healthy and happy. Extra set of car keys! Food and snacks – Stock up on non-perishable snacks (granola bars, fruit, turkey jerky, nuts, dry cereal, popcorn, crackers, trail mix) but you can keep some food in the cooler as well. Towels – Can be used as a seat cover, picnic blanket, to cleanup spills or dry off in an unexpected downpour. Toilet paper in case you run into bathrooms without any! What is on your roadtrip checklist? This list is a great resource! I take frequent road trips and I always carry a paper map as well. I learned my lesson on a cross country trip and we ran into several areas where our GPS lost satellite service. Crazy. I know. But now I carry an atlas in my minivan everywhere I go. Always find packing lists very useful. I try to get as light as I can whenever I pack and am always receptive to good packing tips. 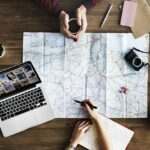 Before each trip, I think it is very important for us to plan our safe and comfortable road trip especially preparing car for our trip such as checking basic car features, making sure the tires are in good shape, packing first aid kit, tool-box and emergency numbers. You’ve got some good tips there. I can pack really fast myself because I travel a lot. I just grab things and put them in my suitcase. I leave my ziplock bag ready so I can just grab that and it has everything in it I need. Great list! I was searching for my first road trip information and find this article. You have gathered almost all things! Planning a holiday right at this moment so this is amazing thanks! I will be going on a road trip this weekend this article is perfect right now. Thank you. Wow, so much essential road trip. This list is so marvellous and true. Full of grace and love.Thanks for sharing such a valuable post and Keep Posting! Great list. We’re going on a road trip next month around California so it’s really useful. 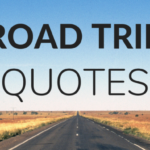 We need to start making our playlist and downloading a few audiobooks to keep us entertained on the journey. A complete A to Z list. nothing is left which can be useful and which is essential for any road trip. thanks for sharing such article. Cheers..!!! That’s a great list! Thanks for sharing!